It’s no secret that cycling is one of my absolute favourite things to do. There’s a special kind of freedom you can only experience on two wheels, and I’m all for getting more women to experience that, in Sussex and beyond, on the road and on the trail! This month I went on my first HSBC UK Breeze cycle ride and it was AWESOME! If you’re not in the know, Breeze is a nationwide initiative from Sport England and British Cycling offering free, women-only rides across the country. Whether three miles or 30, Breeze offers a welcoming, inclusive and supportive community for women of all ages and abilities to build confidence, make friends and discover new routes whilst of course improving fitness along the way. The rides go at a pace of the slowest rider, and it’s not competitive at all. On our ride we had ladies in their 70s joining some of us in our 20s and 30s, on all sorts of bikes including mountain bikes, hybrids and road bikes. One of the riders had never even sat on a bike until her late 40s, so you really are never too old to get started. I’ve loved cycling all my life and was lucky enough to be taught how to ride on the road by my Dad when I was a young child, but this isn’t the case for many women, who may be nervous about joining a group ride with faster cyclists. With Breeze you don’t need to worry about speed or fitness, it’s about community and confidence building as much as it is the actual cycling, and improved fitness is just a bonus! So come on girls, on yer bikes! Find out more about Breeze Network Brighton by following the Sussex and South Downs Facebook page, or find a ride near you at letsride.co.uk/breeze. Also check out activesussex.org for more ways to get active in the county. **Video made by me, hence poor noise quality! Do you cycle in groups or alone? 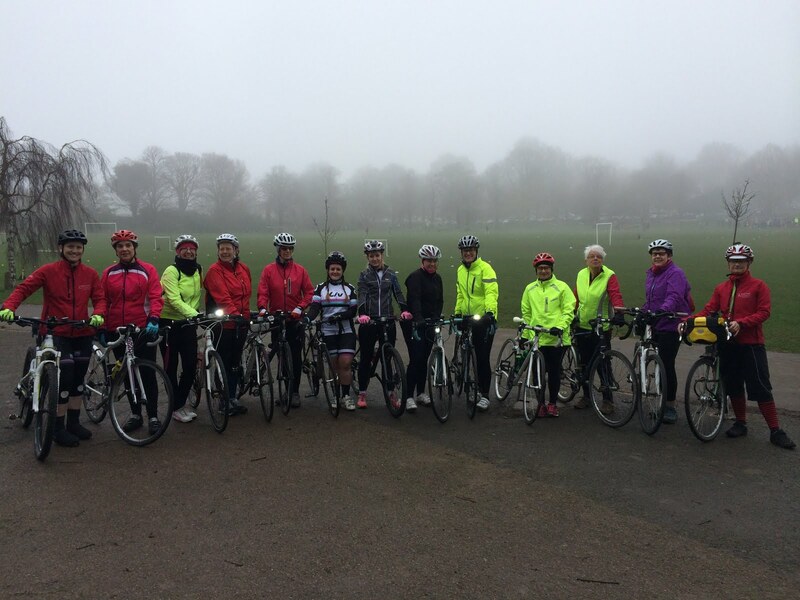 Have you been along to a Breeze ride?